At the end of a long trip, whether it is by boat, plane or vehicle, the relief of arriving at your destination and finally getting to your hotel room is something that may of us can appreciate. Sometimes travel can be a joy, but on many occasions it can be a headache. So heading out on the town after a 6 hour flight and a cab right to find dinner can be just a little too much. Hotel restaurants offer salvation for the weary traveler and locals looking for fine dining alike. So if you enjoy fine dining and are planning a trip to New York City in the future, read on to discover 5 of the best hotel restaurants in the city. The Ace Hotel in New York City is aimed at the young traveler with a very ‘hipster’ feel. Located on 16 West 29th Street between Broadway and 5th Avenue, the Ace Hotel is conveniently located between the Empire State Building and the Flatiron Building. 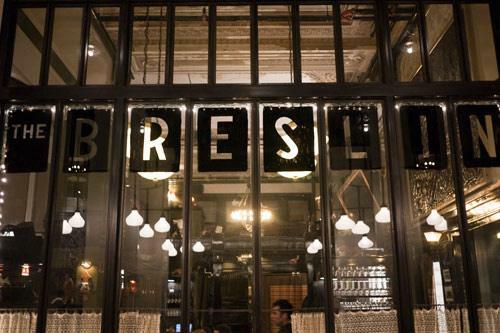 The Breslin Bar & Dining Room at the Ace Hotel is a Michelin starred restaurant and run by restaurateur Ken Friedman and Chef April Bloomfield. The restaurant offers a complete menu from breakfast through to dinner with an enviable wine list and beer selection. 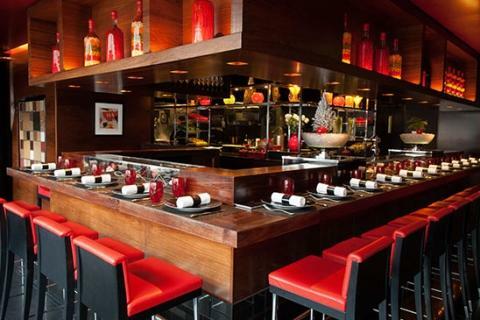 The L’Atelier de Joel Robuchon at the Four Seasons Hotel is another Michelin starred restaurant in New York City. As a well known brand worldwide, the Four Seasons Hotel enjoys a slightly different clientele to that of the Ace Hotel. Located in Midtown Center at 57 East 57th Street, the Four Seasons is centrally located and close to Central Park. This is was the fourth L’Atelier de Joel Robuchon restaurant to open around the world and offers haute cuisine to the stylized extreme. Like the other restaurants, the L’Atelier de Joel Robuchon at the Four Seasons in NYC is build around the traditional Japanese concept of a small plate, omakase tasting and dining at the bar. In addition the restaurant also boasts 160 wines by the glass. 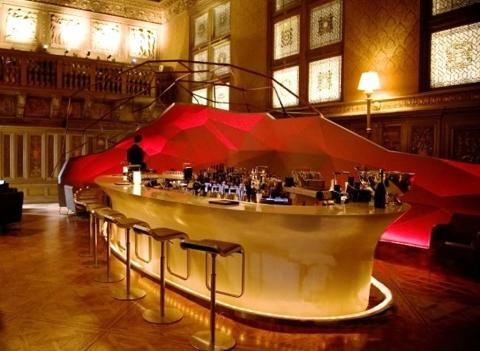 The gilt restaurant at the Palace Hotel in New York City is also located at 455 Madison Avenue. The Gilt is has two Michelin stars to its name and specializes in creating inspiring modern American cuisine in an elegant and regal setting. 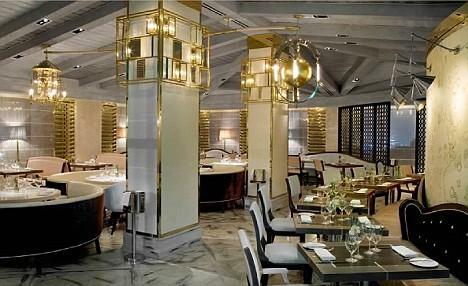 The dining room at the Gilt combines nineteenth century design featuring vaulted gilded ceilings and mosaic tile floors with modern twenty first century interior design. The intimate 52-seat dining room offers three and five course prix fixe menus for you to enjoy. Gordon Ramsay may have a way with colourful language, but the man certainly knows food. Gordon Ramsay at The London is located at 151 West 54th Street between 6th and 7th Avenues and as you might expect, has 2 Michelin stars. Taking the inspiration for its menu from his three Michelin starred restaurant in London’s Chelsea, this restaurant at The London in New York City offers formal dining for 45 guests. In addition to this there are also three private dining rooms for meetings and private events. The advice is to book two months in advance to secure a table and experience classic British food in New York City. 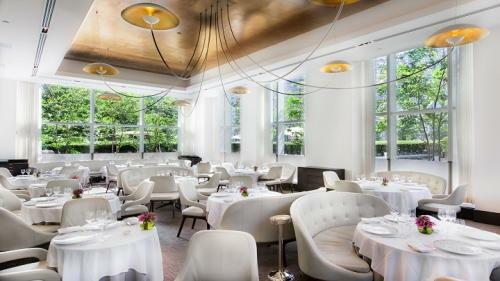 The Jean Georges restaurant at The Trump International hotel is located at 1 Central Park West directly on the most south western corner of Central Park. The restaurant boasts 3 Michelin stars and Jean Georges is one of only 5 chefs in New York City to be awarded 3 Michelin stars. The menu at the Jean Georges restaurant features a blend of American, French and Indochinese food and the dining room offers floor-to-ceiling windows along with exceptional service. Harvey loves America holidays and enjoys the finer things in life such as luxury holidays and hotels. Really great photos and information too. mostly the fist bridge photo. 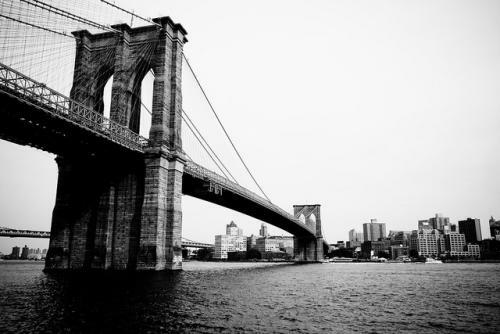 I am looking for travel to new york with my family. so Thanks for sharing such great information with me.